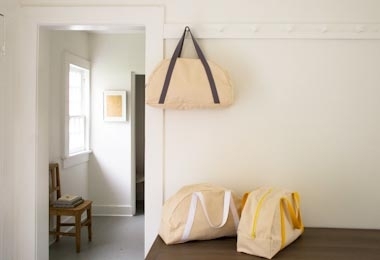 Purl Soho 10-ounce Natural Canvas is 100% cotton and extra wide. This sturdy fabric is made for functional jobs, but in a natural color, it also has a classic beauty. Use this Canvas for playmats, bags, cushions, hot pads, aprons and more!